Advice Home > Therapy > Where Can I Find Couples Therapy Near Me? Where Can I Find Couples Therapy Near Me? Life is hard on its own, but when you are in a relationship, there are times that it can make it twice as hard. Relationships are made up of two imperfect people that each come with their baggage. With different sets of expectations and different personalities, it's a given that there will be challenges from time to time. But, if you find that the challenges are starting to take over the relationship, then it's time to start thinking about "finding couples therapy near me." Unfortunately, there is no Straight answer as to how much couples therapy will cost you. The cost of service varies widely from one therapist to the next. If the expense is a concern to you, several options can help you out. Sliding scales - Many therapists provide a sliding scale for the cost of their services for those that don't have insurance covering the costs. This means that the price of your therapy sessions will be based upon your income. This is a way that a therapist tries to work with couples to allow them to get the help they need in their relationship. Insurance - Some insurance plans will cover mental health services such as sessions with a licensed therapist. You will need to check with your health insurance company to find out if they cover anything and how much they cover. Students - If you are located near a teaching university, you may be able to find more affordable counseling options through the school. Many offer discounted counseling if you meet with a graduate student that is overseen by a licensed therapist. Non-profits or religious organizations - Some religious organizations and non-profits provide counseling services for free. Online counseling - Some counseling services are provided online. BetterHelp is an example of one of these websites. 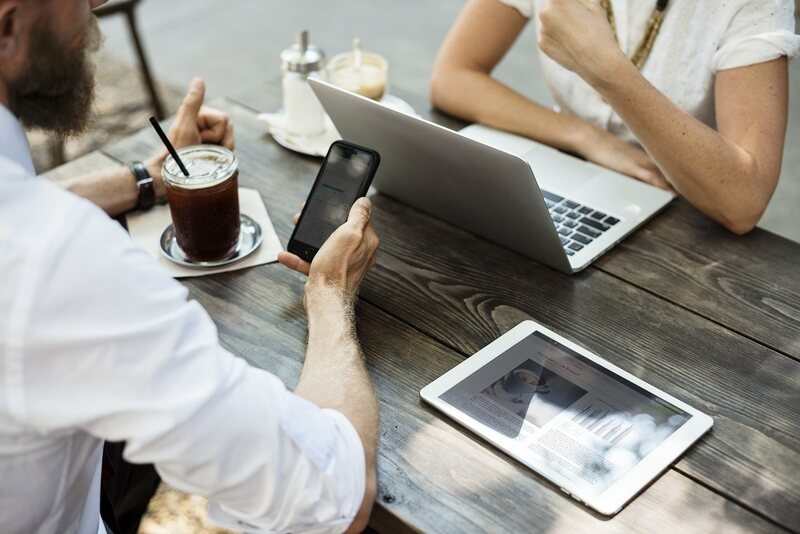 They connect you with therapists that you can meet with from anywhere. 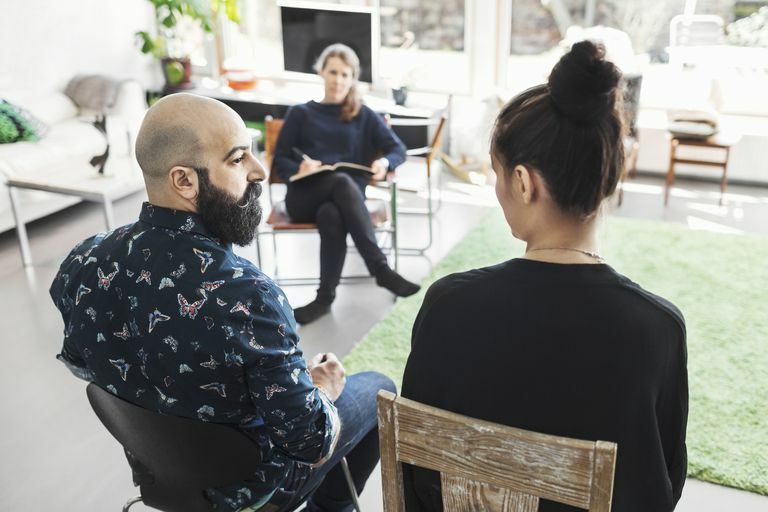 Typically they provide you with access more frequently than you would have if you met in-person with a therapist.Couples counseling might cost more than you want to spend, but before deciding to skip it think about the money, it could be saving you. Counseling is much cheaper than filing for a divorce or staying in a relationship that makes you miserable. Your relationship can be improved, and counseling can help. The answer to this question depends on your situation and your therapist. When you attend couples counseling, you will attend together. The therapist needs to be able to speak with both of you and see how you interact with each other. However, there are many times when counselors will also want to meet with you for individual sessions as well. This can help deal with the struggles in your life or in situations you have lived through in the past. Then, while you are meeting together, you're able to focus on your relationship as a whole. If your significant other is unwilling to attend therapy with you, you can still get help with your relationship. A therapist can help you with your role within the relationship and seeing the bigger picture. You may even find that after you attend therapy alone and are starting to grow in your life and role in the relationship that it might be just the motivation your significant other needs to decide to start coming as well. There's no set answer on how long you will need to attend therapy sessions. Many couples will continue for anywhere from 3-6 months. However, this isn't always the case. Some couples will have made progress they needed in less than three months, and others may need to continue for longer than six months. Therapy sessions are most definitely not a one and done type of appointment. It can take more than one session for your therapist to see what's going on and how you interact with each other as a couple. However, if you've been attending for several months and aren't able to see that any progress is being made, then you will want to look at finding a new therapist. Not every therapist is going to be the right fit for you, even if they come recommended from someone you know. A popular form of therapy for couples is called EFT therapy. It stands for emotionally focused therapy. This form of therapy was created in the 1980s and is very helpful for couples. In fact, the ICEEFT website states, "Research studies find that 70-75% of couples move from distress to recovery and approximately 90% show significant improvements." With statistics like that it makes it worth giving therapy a try before calling it quits on your marriage. EFT is all about attachment and bonding. When we are connected and attached positively, it allows us to feel free to be ourselves and knows that we are loved, cared for and that we can trust the other person. However, if we've had damage was done to use in past relationships, even parental relationships, we can be left with insecurities and issues that we bring into our current relationships. Couples learn how to appropriately bond with each other through counseling sessions. This helps to form attachments and teaches the couple how to communicate in a new and authentic way. There are many different reasons why a couple might want to try therapy. It could be that your relationship has experienced a crisis such as an affair. It could also be that you just feel that your relationship is harder than it needs to be. Or, it could be that there are small situations that come up regularly that you can't seem to move past. Some people even decide to try couples therapy before actually being a couple to find out why they've struggled with past relationships. This can help prepare you for a future relationship. Someone you're comfortable with - You will not be able to make real progress through counseling if you and your significant other aren't comfortable with the therapist. It's important that you be able to feel like you can freely share without holding anything back to make the most progress. Convenient location - You will want to find a counselor that is located in a convenient location for you and your significant other. That could mean finding somewhere between your places of work, near your home, or an online therapist that allows you to meet from anywhere. Education - You don't want to trust the future of your relationship to just anyone. Make sure you are speaking with a therapist that has been trained in providing counseling. If you want to try EFT therapy make sure your therapist has been trained in this form of therapy. Experience - Many therapists will do couples therapy, but it doesn't mean they have experience in it. When you're working on saving or improving your relationship you may want to find a therapist that works with couples regularly. Personal preference - This could stand for any number of things. You both may be more comfortable with a man or a woman therapist. Or, if you are religious, then you might prefer to work with someone that has similar beliefs. When looking for a therapist, you can ask friends and family for recommendations. You can also try searching online for a phrase similar to "couples therapy near me." Many people tend to pride themselves on being independent. However, there are some times in life when we could use the help of someone with professional training. If you think your relationship could be better, don't be afraid to reach out for help. If you are used to sharing with your close friends or family, it can be weird to think about talking to a stranger. However, it can also be easier to talk to a trained therapist because they aren't in your everyday life. You can attend therapy sessions to get the help you need without having to let your friends and family into every little part of your relationship. If your relationship is in crisis, reach out for help. If you are in an abusive relationship, make sure you focus first on your safety before worrying about if the relationship can be saved. Does Therapy For PTSD Work?